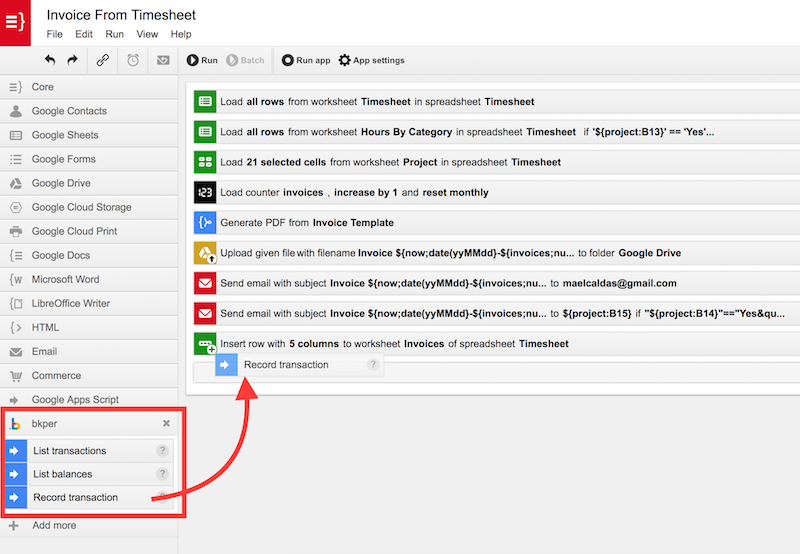 Ultradox is a process automation and template engine for GSuite. 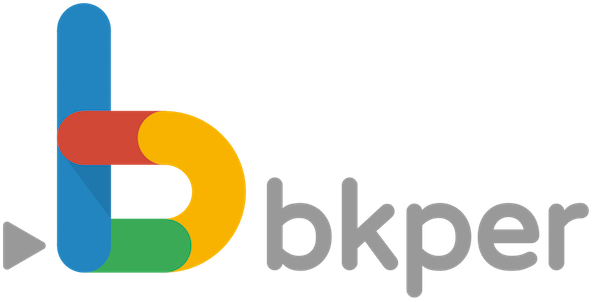 You can generate invoices and automatically record the transaction on bkper. Similarly, you can automatically generate a receipt and record it as a transaction as soon as customer pays you. 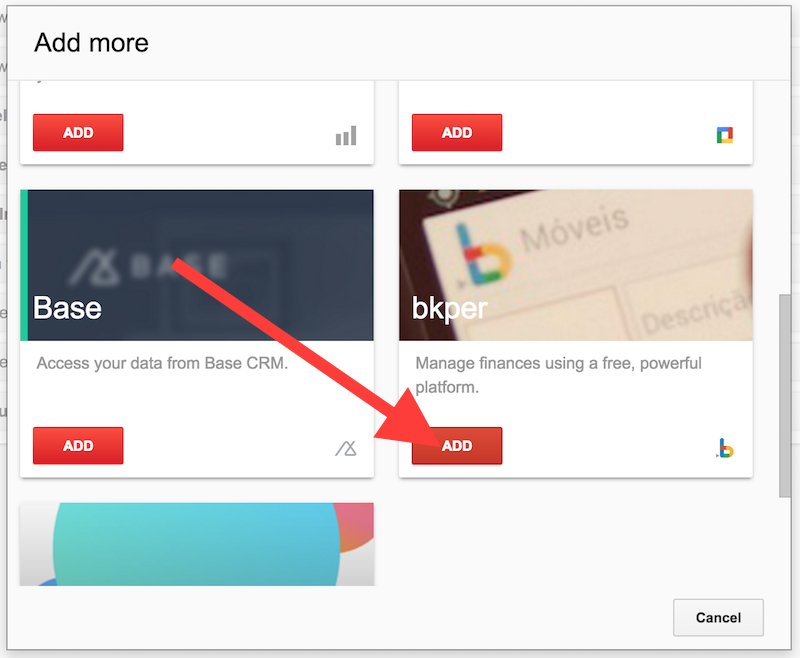 You can also create custom reports or financial statements and then upload do Google Drive, send by email, print on Google Cloud Print and so on These are a few of many options Ultradox provides. If you are new to Ultradox and want to know more go to Ultradox help. This example shows how to record an invoice automatically generated by Ultradox to your bkper book. 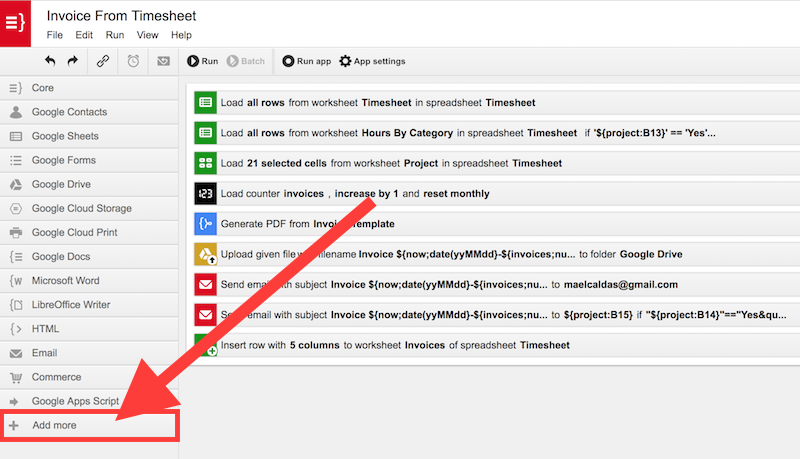 Don't forget to add the preivew url of the generated document to the record text! If you need assistance in help you automate your processes, configure flows and accounts, just get in touch. We will be happy to help you!